The LCL is the lateral collateral ligament and is a major ligament on the outside of your knee which helps connect your thigh bone to the smaller bone on your lower leg. 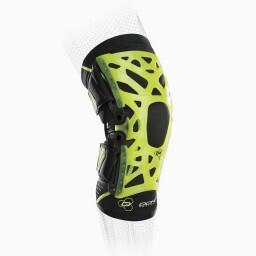 The LCL keeps the knee from buckling towards the outside. Athletes often tear their LCL through impact or a hit to the inside of the knee. This causes the ligament on the outside of the knee to stretch too far. The MCL, medial collateral ligament, is the opposite of the LCL where the ligament lies on the inside of your knee. An injury to the MCL occurs from a hit to the outside of the knee. Athletes who tear their ACL often also tear or injure their LCL or MCL. LCL and MCL tears are common in basketball, soccer, football, lacrosse or skiing, all of which have lots of change in direction and rotation of the knee. 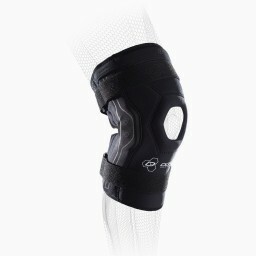 The best type of brace to protect the LCL or MCL is a hinged brace that will prevent the knee from buckling both inward and outward. 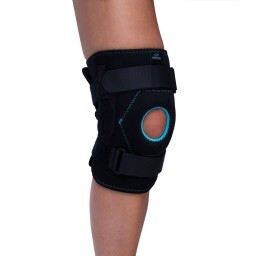 A good ligament knee brace will provide added stability and compression to protect the knee.